pHformula Clinics in Ireland | Aspire & Co Ltd. Skin First specialise in helping each individual client achieve their desired beauty goals, all of their beauty treatments incorporate advanced technology. 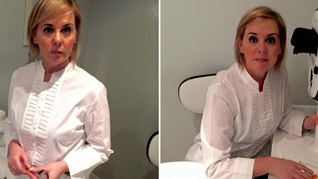 A former president of the Irish Beauty Professionals Association Angela offers advanced technology and procedures to help clients maintain outstanding skin care results. As well as being in demand for make-up solutions and fashion design, Angela specialises in skin rejuvenation procedures, including pHformula’s skin resurfacing solution.